Phoenix Color Corp. Closes Color Optics Acquisition NEW YORK, NEW YORK and HAGERSTOWN, MARYLAND, July 18, 2016 - Phoenix Color Corp. (“Phoenix Color”), a wholly owned subsidiary of ALJ Regional Holdings Inc. (Nasdaq: ALJJ) (“ALJ”), today announced the closing of the acquisition of the Color Optics packaging business which it acquired from AKI, Inc.,which does business under the name Arcade Beauty. Phoenix Color® is a premier full-service, full-color printer with over 30 years of superior print experience. Drawing on a broad spectrum of materials and decorative technologies, Phoenix Color® produces memorable, value-added components, heavily-illustrated books, cut and stack labels, folding cartons and specialty commercial products. Color Optics is a leading printing and packaging solutions enterprise servicing the beauty, fragrance, cosmetic and consumer-packaged goods markets. About ALJ Regional Holdings, Inc.
ALJ Regional Holdings, Inc. is the parent company of Faneuil, Inc., a leading provider of outsourcing and co-sourced services to both commercial and government entities in the healthcare, utility, toll and transportation industries, Floors-N-More, LLC, dba Carpets N' More, one of the largest floor covering retailers in Las Vegas and a provider of multiple finishing products for commercial, retail and home builder markets including all types of flooring, countertops, cabinets, window coverings and garage/closet organizers, with five retail locations, and Phoenix Color Corp., a leading manufacturer of book components, educational materials and related products producing value-added components, heavily illustrated books and specialty commercial products using a broad spectrum of materials and decorative technologies. NEW YORK, NEW YORK and HAGERSTOWN, MARYLAND , June 22 , 2016 - Phoenix Color Corp. (“Phoenix Color”) , a wholly owned subsidiary of ALJ Regional Holdings Inc. (Nasdaq: ALJJ) (“ALJ”) , announced today that they have entered into an asset purchase agreement to acquire the Color Optics packaging business from AKI, Inc., which does business under the Arcade Beauty name (“Arcade Beauty ”). The aggregate consideration for the acquisition is $7 .0 millio n, subject to certain adjustments, and is subject to certain customary closing conditions. In connection with the acquisition of Color Optics, Phoenix Color and ALJ expect to enter into an amendment to the financing agreement with Cerberus Business Finance , LLC, to increase borrowings by $10.0 million, and make certain adjustments to the covenants to reflect the consolidated business of ALJ following the closing. Commenting on the transaction, Mr. Marc Reisch, Executive Chairman of Phoenix Color , stated "W e are very excited to be adding Color Optics to the Phoenix Color business. The printing and packaging solutions that Color Optics provides to the beauty, fragrance, cosmetic and consumer - packaged goods markets are a terrific business extension for Phoenix Color. 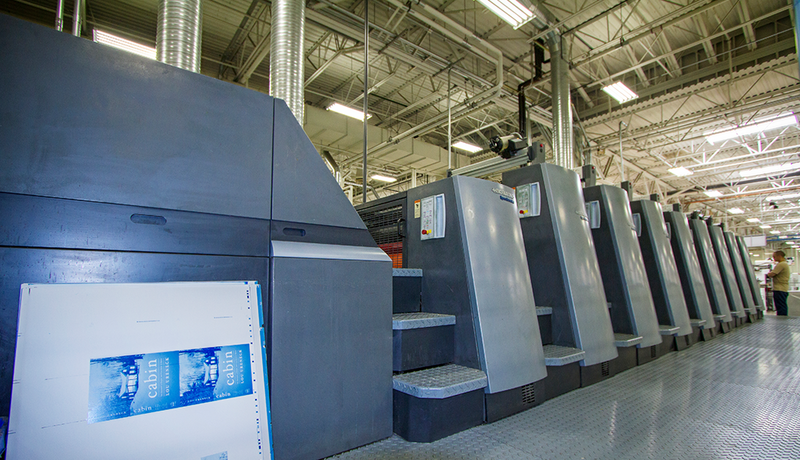 To further support the acquisition, Phoenix Color will be investing approximately $5 .0 million in new press, finishing and folding equipment including a 10 - unit, perfecting press with coater that will support Color Optics, and also provide addition al capacity and capabilities for our high quality, multi - color book customers . " Mr. Reisch added, "We are also very pleased to be entering into a long term supply agreement with Arcade Beauty. "Mr. Jess Ravich, Executive Chairman of ALJ, said "The acquisi tion of Color Optics is consistent with our stated strategy to make investments in all of our subsidiaries to allow for continued product expansions. "Mr. Joe Cicci, President of Color Optics, commented, "We are delighted to be joining Phoenix Color. The combination of both companies ’ existing capabilities, along with the announced capital investments, will provide excellent opportunities for our customers." Phoenix Color® is a premier full - service, full - color printer with over 30 years of superior print experience. Drawing on a broad spectrum of materials and decorative technologies, Phoenix Color® produces memorable, value - added components, heavily - illustrated books, cut and stack labels, folding cartons and specialty commercial p roducts. Color Optics is a leading printing and packaging solutions enterprise servicing the beauty, fragrance, cosmetic and consumer - packaged goods markets. ALJ Regional Holdings, Inc. is the pare nt company of Faneuil, Inc., a leading provider of outsourcing and co - sourced services to both commercial and government entities in the healthcare, utility, toll and transportation industries, Floors - N - More, LLC, dba Carpets N' More, one of the largest fl oor covering retailers in Las Vegas and a provider of multiple finishing products for commercial, retail and home builder markets including all types of flooring, countertops, cabinets, window coverings and garage/closet organizers, with five retail locati ons , and Phoenix Color Corp., a leading manufacturer of book components, educational materials and related products producing value - added components, heavily illustrated books and specialty commercial products using a broad spectrum of materials and decora tive technologies. This press release contains forward - looking statements. Such statements include information regarding our expectations, goals or intentions regarding the future, including but not limited to statements including the words "will" and "expect" and similar expressions. These statements include, but are not limited to, statements regarding our expectations regarding financing for the Color Optics acquisition. You should not place undue reliance on these statements, as they involve certain risks and uncertainties, and actual results or performance may differ materially from those discussed in any such statement. Factors that could cause actual results to differ materially are discussed in ALJ's Form 10 and its periodic reports filed with the Securities and Exchange Commission and available through EDGAR on the SEC's website at www.sec.gov . All forward - looking statements in this release are made as of the date he reof and we assume no obligation to update any forward - looking statement.